There’s one thing for sure – babies and kids will grow. But physical development is about more than just hitting the right percentiles on a height chart. All babies grow in the same order but at completely different rates. One seven-month-old might be crawling around and chattering madly. Another might be playing silently on his playmat. One five-year-old can look like he’s still only four, while another can look like he belongs with the seven-year-olds. Developmental achievements are often called ‘milestones’ and there are certain physical milestones. Gross motor skills involve the coordination and control of large muscles and skills like walking, sitting and running. Fine motor skills (or manipulation) involve the coordination and control of small muscles, and skills like holding a rattle, picking up crumbs and scribbling with a pencil. Vision is the ability to see near and far, and to interpret what’s seen. Hearing is the ability to hear, listen to and interpret sounds, whereas speech is the ability to produce sounds that form words. Language is something different again, but also important. Emotional and social behaviour and understanding is your child’s ability to learn and interact with others, including skills for play and communicating with other people and children. Physical development provides children with the abilities they need to explore and interact with the world around them. A young child’s physical growth first beings as muscles gain strength and children gradually develop coordination. The development of muscular control is the first step in this process. Think about the words physical development. They encompass so many different tasks and abilities. The term motor development refers to physical growth, or growth in the ability of children to use their bodies and physical skills. Motor development often has been defined as the process by which a child acquires movement patterns and skills. Genetics, size at birth, body build, nutrition and culture can all influence motor and physical development. This is the area of physical development that most parents think of first – the child’s general ability to move around and use the various parts of his body. Activities like rolling over, crawling, walking, running and jumping are gross motor skills. These skills usually involved using the entire body or several parts of the body at one time. Muscle Tone: How tightly or loosely do the muscles work for your child? If a child’s body has tone, then his movements might be jerky or disconnected. If a child’s body is too loose – or low tone – then her movements might be slow and lack strength. Muscle Strength: How strong is your child? How much pressure can he apply with his hands and legs? How much pressure can his body withstand? Quality of Movements: Are the movements smooth or does she seem to jerk her limbs? Does she seem to move either particularly slow or fast? Does it take effort for her to move around? Range of Movement: An important area in physical development is a child’s ability to make movements that span the entire length of her body. A significant milestone is the ability to make movements that go from one side of the body to the other, referred to as “crossing the midline”. This skill is necessary for a child to do tasks such throwing a ball or passing an object from one hand to another. This concept is also important for the area of fine motor development. He will show basic distinctions in vision, hearing, smelling, tasting, touching, temperature and perceiving pain. He will also lift his head when on his stomach and possibly show squeals of delight well as grasp objects and roll over. He can run well, march, stand on one foot briefly, ride a tricycle, feed himself (with a bit of mess), put on his own shoes and socks (though not tie laces! ), unbutton and button. He can stand on one foot with eyes closed for three seconds, walk on a line in heel-toe fashion, skip on both feet, possibly ride a bicycle without training wheels, jump rope, catch and bounce a tennis ball and tie shoelaces. He has the capability to roll, bat, kick and throw a ball, which makes him able to play organised sports such as soccer, cricket and basketball. His strength and coordination will continue to develop with practice. Puberty can start to appear at this age, which is why you’ll see kids developing at different rates between the ages of eight and 18. With growth spurts come clumsiness and a lack of coordination. 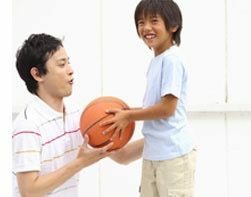 If your child is not athletic, help him find a sport or physical activity he enjoys. At this age, kids who don’t excel athletically are tempted to avoid all physical activity. 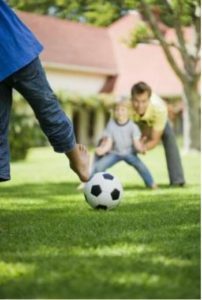 Australia’s Department of Health and Ageing has two recommendations for parents to encourage optimal physical development. Children and young people should participate in at least 60 minutes (and up to several hours) of moderate-to vigorous-intensity physical activity every day. Children and young people should not spend more than two hours a day using electronic media for entertainment (e.g. computer games, Internet, TV), particularly during daylight hours. 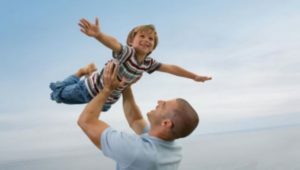 This article was written by Alex Brooks for Kidspot from sources including Child Development Info and Raising Children. needed for othe physical activity. Our gym rules are for everyone to help keep our gym safe and clean. Staff reserves the right to remind both adults and children of our gym rules. Any unkind or unruly behaviour will not be tolerated. Thank you for respecting the gym, each other, and our gym rules. 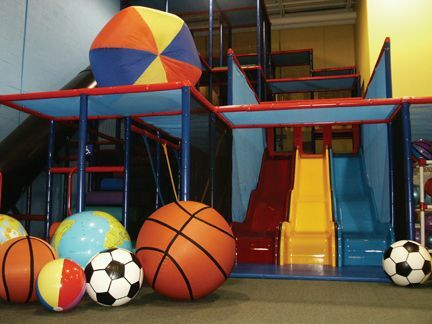 Our Ball and Gym Themes change the first Monday of the month, unless the Monday is a holiday. Check out our monthly calendar for the equipment switch date. Come often to have fun, play and build confidence.